The Golf VII was introduced in 2013 and then facelifted in 2017. Here's what it's like as a used car. The seventh generation Volkswagen Golf made its world debut at the 2012 Paris Motor Show before going on sale in Ireland in 2013. While the design was largely evolutionary over the Golf VI’s, the new car had sharper detailing and a higher quality interior. It’s good to drive, refined and available in a wide variety of models. A facelift in 2017 sharpened up the appearance further, added more engine options and introduced advanced touchscreen infotainment to the Golf, along with more safety equipment. It’s vast, in a word. 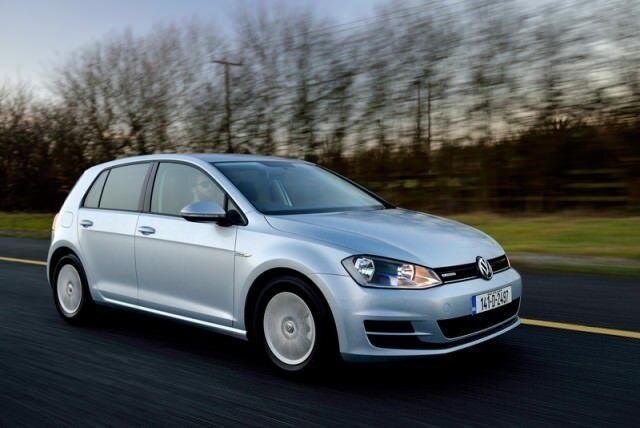 Buyers choose from three- and five-door hatchbacks or from a practical estate. At the top of the range are GTI, GTD and Golf R variants, all designed for maximum driving enjoyment, while those with an eye on our electric car future can opt for the all-electric e-Golf or the plugin hybrid Golf GTE. Nonetheless, those are all niche models in comparison to the traditional petrol and diesel options. The petrol cars aren’t as common in the classifieds, but they’re smoother, quieter and better suited to low-mileage drivers than the more popular diesels. Most will be happy with the best-selling 1.6-litre TDI version, though the 2.0-litre TDI engine gives the Golf a lot of performance. Manual gearboxes of five or six speeds are standard and Volkswagen’s DSG dual-clutch automatic was available across the board. Assuming you drive more than 20,000 kilometres a year, and a fair proportion of that is at speed on the motorway, it still makes sense to go for a diesel Golf. Until something drastic happens with the taxation system, it’ll also hold its value best. The 2.0-litre TDI is tempting, but the 1.6-litre is quieter and has lower running costs so that’s the one we’ll recommend. If possible, get a Highline car as they come with loads of equipment. You really can’t go too far wrong with a Golf. It remains one of the most searched for cars on Carzone.ie, indicating that there will always be demand for it on the second-hand market, which helps keep residual values high. It’s worth the price, too, as it’s a high-quality product sitting above most others in the C-segment.